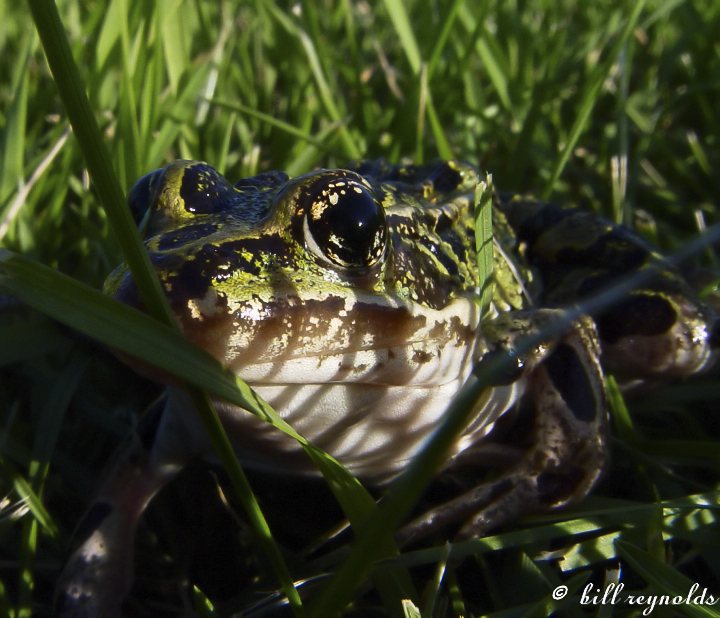 Northern leopard frog (Lithobates pipiens) is a slim, medium-sized, widely recognized, true frog. It is widespread and very common, occurring in every county in the state. 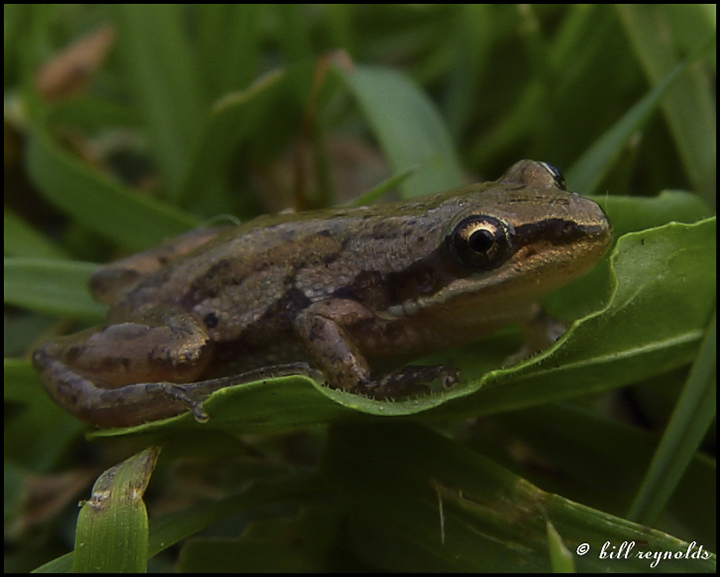 It is found in woodlands and grasslands, always within about a half mile of a waterway, water body, or wetland. 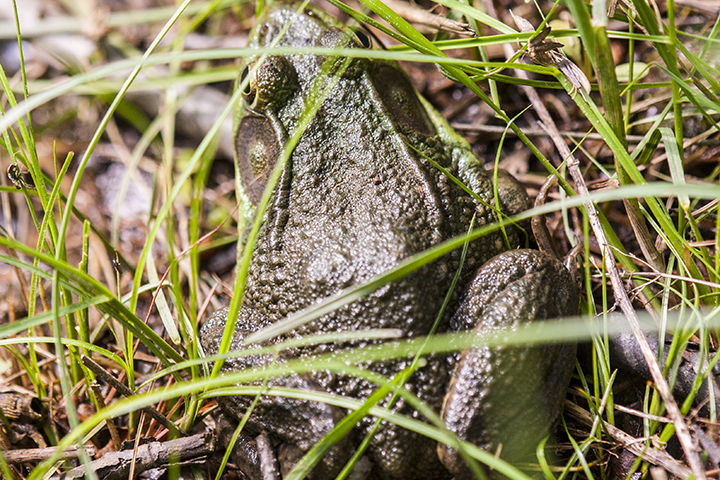 Most adults are green on the back (dorsal surface) with 2 to 4 rows of rounded black spots. However, background color and spotting is variable and there are two distinct color morphs. Some adults have a greenish-brown or brown background. The Burnsi color morph is brown or green with no dorsal spots. The less common Kandiyohi color morph is brown with flecks of white, brown, or black between the spots. 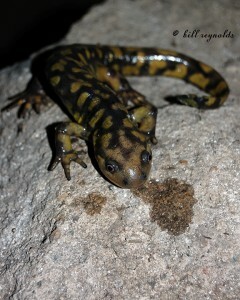 Juveniles may have few or no dorsal spots. This entry was posted in Amphibians and tagged Lithobates pipiens, northern leopard frog on September 7, 2014 by John Valo.